Carbon dioxide, methane and nitrous oxide are far above pre-industrial levels. Details here. 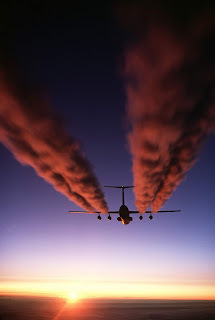 Air travel is the fastest-growing source of emissions.